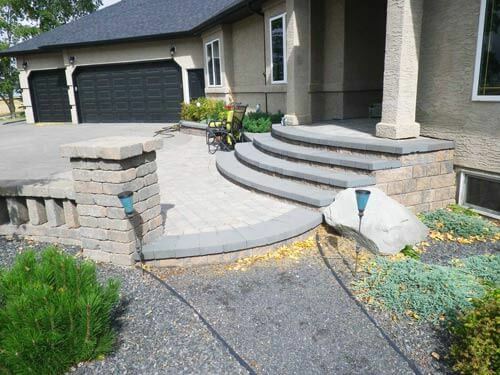 Water features are a simple, beautiful and refreshing option for outdoor living projects. By incorporating a water feature in to your landscape design you will naturally make your outdoor living space feel like an at home spa or oasis; it’s subtle sounds, movements and sparkly reflections are perfect for those who enjoy lounging, reading, or entertaining outdoors. 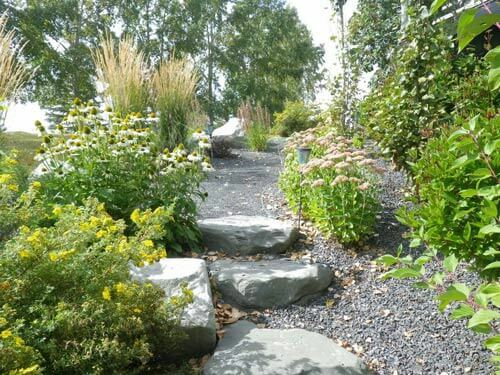 Water features bring tranquility and relaxation to every yard, whether you prefer a small pond or a babbling water fall, our design and construction teams will have you covered. 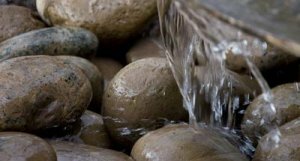 There are endless options of water features that can be incorporated into an outdoor design, below we have listed a few of our popular options. 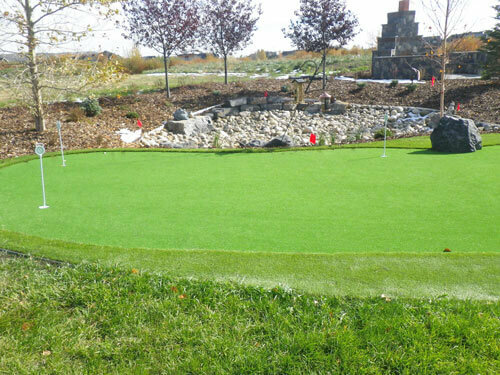 Fountains are a soothing water feature option that offer the calming effects of running water; we can offer fountains that are pre constructed such as a ceramic, metal, or concrete fountains. The design options for these types of fountains are limitless, whether you prefer something classic, modern, or anything in between, we can and will find the perfect fountain to suit your project. 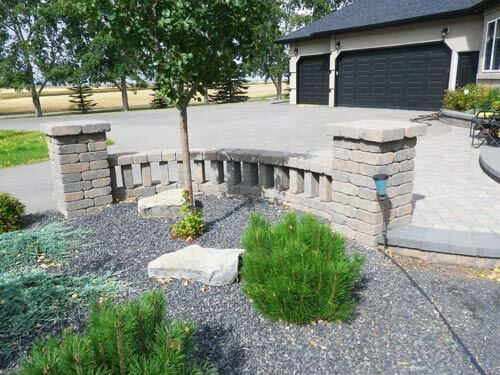 Sungreen can also construct natural fountains made from pavers or natural stone, this option gives you the freedom to personally design the perfect fountain that you see suit for your yard. Fountains can rain, bubble, run, pour or cascade, you choose your favorite option. Who doesn’t love the sound of a waterfall?! Waterfalls are an incredible option for your outdoor living space. 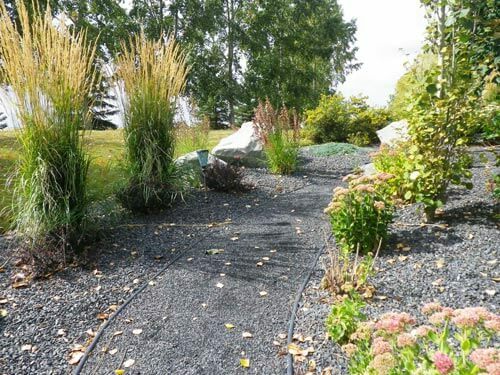 We offer two specific types of waterfalls at Sungreen Landscaping, there are waterfalls which flow to a pond or pond-less waterfalls which just recycle the water flowing through the fall. 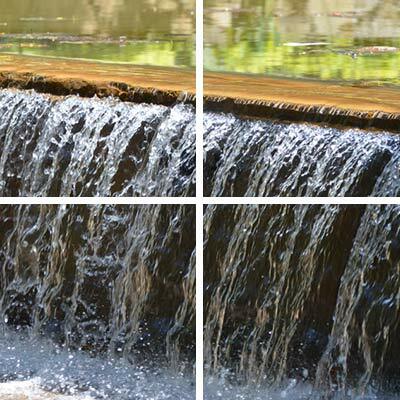 Both types of falls recycle water that is pumped through the waterfall, maintenance is relatively simple and mostly just includes filling the reservoir to compensate for evaporated water. 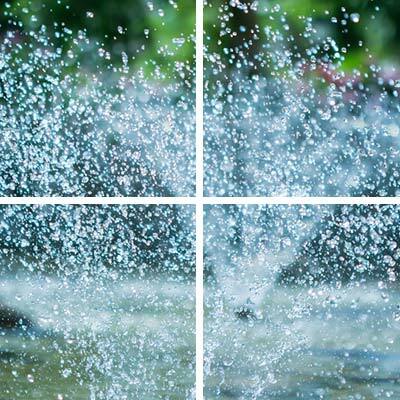 Waterfalls offer a more natural option to the beloved sounds and features of a water fountain. 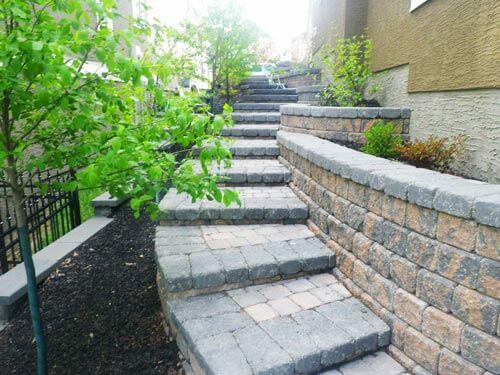 A retaining wall waterfall can be incorporated right into your already designed retaining wall construction, they add a beautiful natural touch to patios, gardens or even pools. 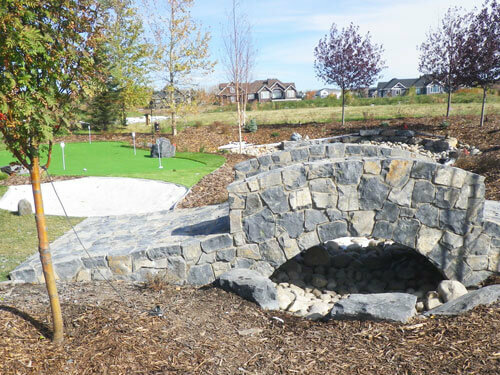 Typically the water will flow out from the stone in a smooth sheet like format into a recycled water basin below. 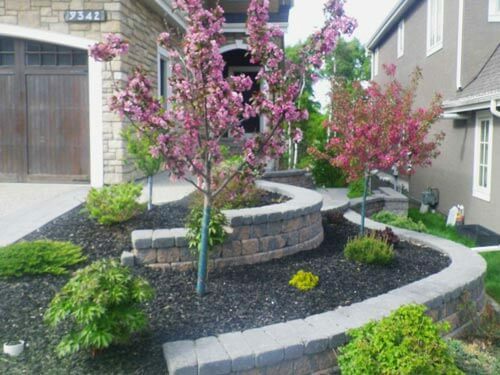 Rock fountains can be placed and enjoyed almost anywhere in your yard. They are typically smaller in size and very easy to maintain. 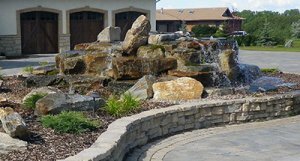 Rock fountains are cost effective and still offer the same calming effects and soothing sounds of larger water feature options. 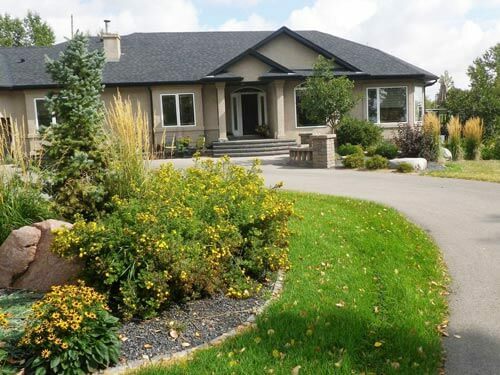 If you are a nature lover, a pond is the perfect option for you. Ponds allow for a number of aquatic plants and/or animals to grow and flower in its ecosystem. 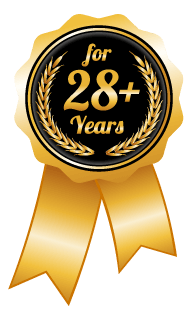 We install lined and filtered ponds which filter and clean bacteria and excess nutrients from your pond, leaving the water crystal clear. 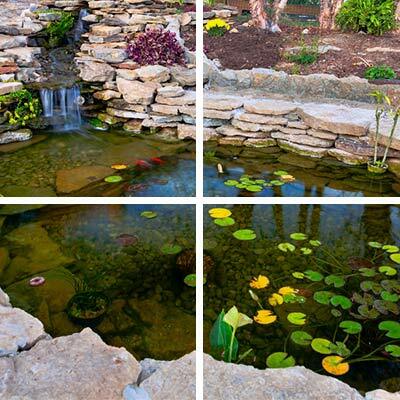 Ponds offer the option of adding fish or frogs to your water feature, by adding animals you will also reduce the maintenance of your pond as they will help regulate a natural ecosystem between the plants, algae and bacteria in the pond.